So you've seen the Pixar movies and, if you're pretty savvy, you know that there's no way they could have made Toy Story with traditional 2D animation like they used for Cinderella. At least, it would have taken ages – certainly far longer than the execs of any major studio is going to want to wait. You might have heard about software for 3D art and animations that are pretty neat and definitely would have seen the work of some top artists if you aren't living in a bunker without an Internet connection. You might have thought of trying it yourself if you have any artistic talent at all, but you naturally have questions. Big Buck Bunny was produced by the Blender community to demonstrate the possibilities of free software. Looks cool, doesn't it? Check out the video below to see the 10-minute film. Is producing 3D art easy? One of the biggest misconceptions about 3D art is that people who create it are somehow lazier or less talented than people who use traditional media. In reality, you need talent with both art and computers and the patience to handle detailed work for long periods of time to do respectably in this field. In fact, I dare you to download Blender and open it up to take a look at all the available functions, controls and features. It's free and good software for people who are learning how to produce 3D art or don't have a lot of money to spend on software. It was fairly intimidating the first time I opened it up, too, and I'm still learning how to use it. Even the pros aren't too proud to learn more about their craft and trade secrets about the state of the art in the 3D world. But I can learn, right? 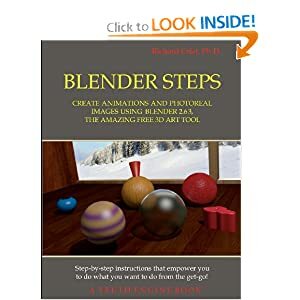 I'm sure you could, if you are willing to put in the time needed and take advantage of resources like Blender's own documentation and online videos. Most experienced pros will tell you that it takes a few hours daily for months before they started producing anything worth calling art and a lot of people quit before they get very far. If you have the patience, though, you can develop the skills needed to produce features on the level of the Pixar lineup. Can I earn a living by producing 3D art? Sure you can. In fact, the median salary for a 3D artist is $61,000. It does depend on how far you want to go with it. Do you want to work for major studios like Disney/Pixar? How about going the freelance route with producing models and short animations for clients? Do you want to go into business for yourself and create your own material? You can find success with each option if you're willing to tackle it. Can I specialize? Sure; a lot of 3D artists do. Some focus on concept models for designers who want to see what their material could look like in real life. Others produce animations of varying lengths. Many enter the field with the idea of creating the next big video game. Is there an active community? The good news is that you don't have to give up your social life to be a 3D artist. Your conversations may even become more interesting and you can make new friends as you discuss news, tips and hot topics with people just like you. In fact, while you're waiting for the Blender install to happen, look around on the Blender site. You'll see news, an active community, and projects produced by people who wanted to show off what Blender can do. Which 3D software is the best? It depends on what you look for in 3D software. I like Blender because it's free and a popular option for 3D animators, modelers and game designers who don't want to shell out cash for a 3D software package. AutoCAD is a specialized software that is good at drafting and modeling for architecture and engineering products. Maya is a good option for 3D animations. I've been hearing about 3D printers. They are neat and the technology is advancing pretty rapidly here. However, before you bother buying one, I recommend mastering your preferred software and producing a few models first. By waiting, you also have the leisure of browsing the best and latest in Additive Manufacturing (“3D Printing”) machines when you get some free time. 3D art might be for you if you've watched Wall-E and analyzed it for its visuals and near-seamless blending of animation and live-action shots. You don't want to just watch those animated features and play the hot new games. You want to be one of those lucky few who help create them. 3D art is a satisfying and challenging career for people who can look their preferred software in the face and not be intimidated.